News is starting to leak out about what appears to be the imminent announcement of new discoveries and analyses of the perplexing bones found deep in a cave in South Africa. In addition to providing a much younger date for the fossils than expected and the revelation that there is a second chamber with additional specimens, more analyses of the original set of 1500 bones will also be published. How have young-earth creationists responded over the past two years? I have updated my YEC scorecard of responses to reflect their currently stated views. It will be interesting to see if Answers in Genesis changes their minds about these fossils just being an ape when the dates, more fossils and possible cultural artifacts??? are revealed to the public. Keep tuned for updates this summer. The variation in responses is very interesting! I suspect it’s only a matter of time before Wood finally changes his mind. He’s one of the few honest YECs and as such, he’ll probably end up accepting the truth eventually. 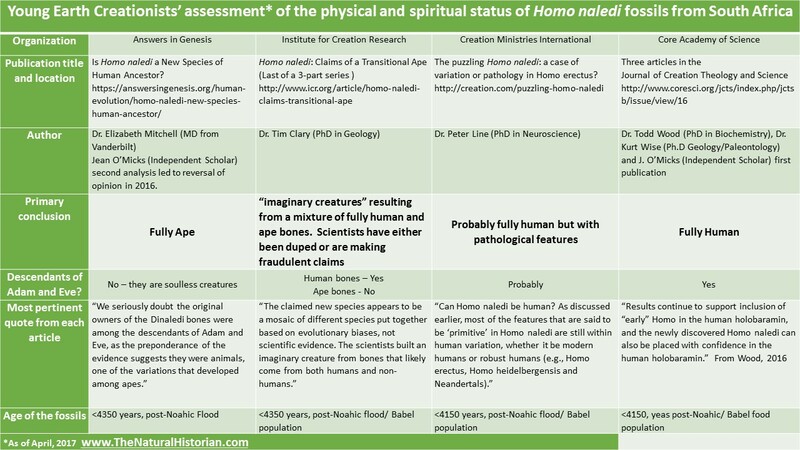 Has Dr. Wood made any specific comments towards AiG’s hyper-evolution models? Dr. Duff, I am sorry for hijacking this comment thread, but I could not find another way to contact you (of course, feel free to delete this if you deem it inappropriate). 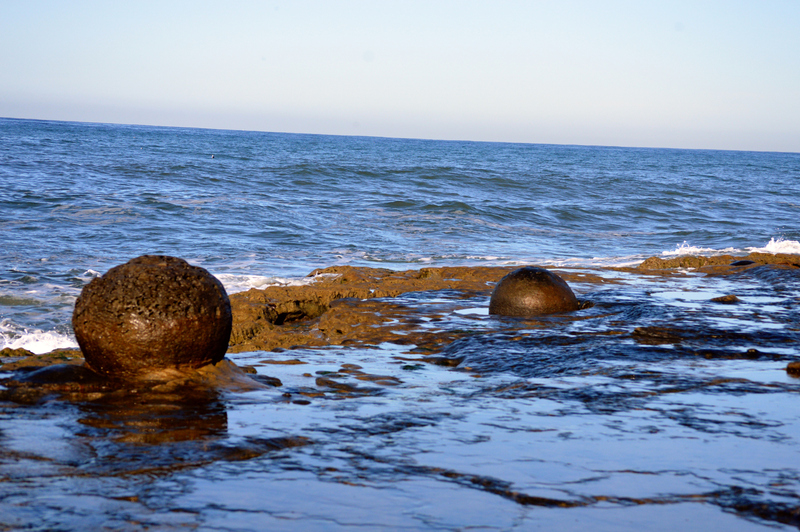 I was interested what you make of this find of “metal balls” on the surface of the ocean? Several Creationist sources claim it is evidence for Noahs Ark, e.g. Now both articles do not show any surprise or indredulity at this. The artificial reservoir has totally different conditions than the ocean (says the abstract). My advice: always go to the source. Crystallization is a process that depends on many physico-chemical factors. But you won’t get in in really turbulent waters! I’m not going to bother with the rest of the ICR article, it’s late here, different time zone. If there had been a global flood, we wouldn’t have to rely on something like manganese nodules to find evidence. Check out the rest of this excellent blog and you’ll see there is none, and lots of evidence for the view held by nearly all geologists, that the Earth is 4.8 billion years old! Why would they post this when their Answers Research Journal has recent papers by “Jean O’Micks” and Todd Wood arguing for different positions on the same set of fossils? The commenters on their Facebook are convinced that there aren’t any fossils that even appear to be transitional. If any do appear to be transitional, than they are mocked as a hoax, as if it’s another Piltdown man. I tried to talk to some of them, but none would give up their idea that Lucy is an amalgamation of bone fossils found from multiple dig sites kilometers apart. It is telling that even different ICR authors can’t agree in what these fossils are, and give virtually opposite assessments. Tim Clarey, in ICT’s Oct 2017 Acts and Facts, states that the remains “are certainly not human,” while Frank Sherwin,in ICR’s on-line article 8962, says it is “likely just another human variety.” Of course, the obvious reason YECs can’t agree on whether to pigeon hole the fossils as “all human” or “all ape” the obvious reason is that they show features of both, and intermediate features, but of course their YE assumptions cannot allow them to admit that.